¹Offer available on qualifying purchases made between 27 October 2018 and 28 February 2019. Savings based on the purchase of eligible equipment. Offer available on the purchase of any new Z915B, Z915E or Z930M ZTrak Mowers in the U.S. only. Prices and savings in U.S. dollars. See your participating dealer for details. Offer valid on purchases made between 27 October 2018 and 28 February 2019. Subject to approved installment credit with John Deere Financial, for commercial use only. Up to a 10% down payment may be required. 0% APR is for 24 months only. Taxes, freight, setup and delivery charges could increase monthly payment. Available at participating U.S. dealers. Prices and models may vary by dealer. Offer available on new equipment and in the U.S. only. Prices and savings in U.S. dollars. Offer valid on purchases made between 27 October 2018 and 28 February 2019. Subject to approved installment credit with John Deere Financial, for commercial use only. Up to a 10% down payment may be required. 0.9% APR is for 36 months only. Taxes, freight, setup and delivery charges could increase monthly payment. Available at participating U.S. dealers. Prices and models may vary by dealer. Offer available on new equipment and in the U.S. only. Prices and savings in U.S. dollars. Offer valid on purchases made between 27 October 2018 and 28 February 2019. Subject to approved installment credit with John Deere Financial, for commercial use only. Up to a 10% down payment may be required. 1.9% APR is for 48 months only. Taxes, freight, setup and delivery charges could increase monthly payment. Available at participating U.S. dealers. Prices and models may vary by dealer. Offer available on new equipment and in the U.S. only. Prices and savings in U.S. dollars. Offer valid on purchases made between 27 October 2018 and 28 February 2019. Subject to approved installment credit with John Deere Financial, for commercial use only. Up to a 10% down payment may be required. 3.9% APR is for op to 60 months Commercial use/72 Months Residential Use only. Taxes, freight, setup and delivery charges could increase monthly payment. Available at participating U.S. dealers. Prices and models may vary by dealer. Offer available on new equipment and in the U.S. only. Prices and savings in U.S. dollars. Offer valid on purchases made between 27 October 2018 and 28 February 2019. Subject to approved installment credit with John Deere Financial, for commercial use only. 10% down payment required. No payments, no interest until May 2019, followed by 3.90% APR for 48 months only. Taxes, freight, setup and delivery charges could increase monthly payment. Available at participating U.S. dealers. Prices and models may vary by dealer. Offer available on new equipment and in the U.S. only. Prices and savings in U.S. dollars. Offer valid on purchases made between 27 October 2018 and 28 February 2019 and is subject to approval by John Deere Financial. 2.90% APR lease rate for Exempt states only for up to 24 or 36 months operating lease or lease purchase. Taxes, freight, setup and delivery charges could increase monthly payment. Monthly payments may vary based upon the end of lease term purchase option price and length of lease term. Not available for Consumer use. 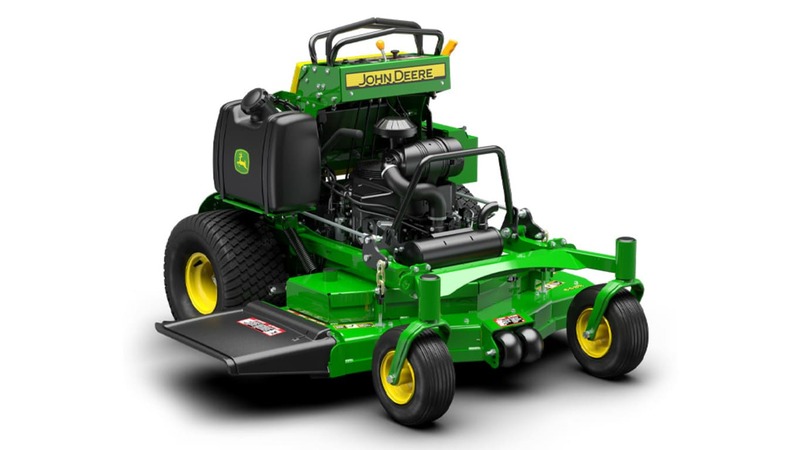 See your John Deere Dealer for complete details and other financing options. Available only at participating U.S. dealers. Prices and models may vary by dealer. Offer available on new equipment and in the U.S. only. Prices and savings in U.S.
²Offer available on qualifying purchases made between 27 October 2018 and 28 February 2019. Savings baed on the purchase of eligible equipment. Offer available on the purchase of any new 636M or 652R QuikTrak Mower in the U.S. only. Prices and savings in U.S. dollars. See your participating dealer for details. Offer valid on purchases made between 27 October 2018 and 28 February 2019. Subject to approved installment credit with John Deere Financial, for commercial use only. Up to a 10% down payment may be required. 0% APR is for 24 months only. Taxes, freight, setup and delivery charges could increase monthly payment. Available at participating U.S. dealers. Prices and models may vary by dealer. Offer available on new equipment and in the U.S. only. Prices and savings in U.S. dollars. Offer valid on purchases made between 27 October 2018 and 28 February 2019. Subject to approved installment credit with John Deere Financial, for commercial use only. Up to a 10% down payment may be required. 0.9% APR is for 36 months only. Taxes, freight, setup and delivery charges could increase monthly payment. Available at participating U.S. dealers. Prices and models may vary by dealer. Offer available on new equipment and in the U.S. only. Prices and savings in U.S. dollars. Offer valid on purchases made between 27 October 2018 and 28 February 2019. Subject to approved installment credit with John Deere Financial, for commercial use only. Up to a 10% down payment may be required. 1.9% APR is for 48 months only. Taxes, freight, setup and delivery charges could increase monthly payment. Available at participating U.S. dealers. Prices and models may vary by dealer. Offer available on new equipment and in the U.S. only. Prices and savings in U.S. dollars. Offer valid on purchases made between 27 October 2018 and 28 February 2019. Subject to approved installment credit with John Deere Financial, for commercial use only. Up to a 10% down payment may be required. 3.9% APR is for op to 60 months Commercial use/72 Months Residential Use only. Taxes, freight, setup and delivery charges could increase monthly payment. Available at participating U.S. dealers. Prices and models may vary by dealer. Offer available on new equipment and in the U.S. only. Prices and savings in U.S. dollars. Offer valid on purchases made between 27 October 2018 and 28 February 2019. Subject to approved installment credit with John Deere Financial, for commercial use only. 10% down payment required. No payments, no interest until May 2019, followed by 3.90% APR for 48 months only. Taxes, freight, setup and delivery charges could increase monthly payment. Available at participating U.S. dealers. Prices and models may vary by dealer. Offer available on new equipment and in the U.S. only. Prices and savings in U.S. dollars. Offer valid on purchases made between 27 October 2018 and 28 February 2019 and is subject to approval by John Deere Financial. 2.90% APR lease rate for Exempt states only for up to 24 or 36 months operating lease or lease purchase. Taxes, freight, setup and delivery charges could increase monthly payment. Monthly payments may vary based upon the end of lease term purchase option price and length of lease term. Not available for Consumer use. 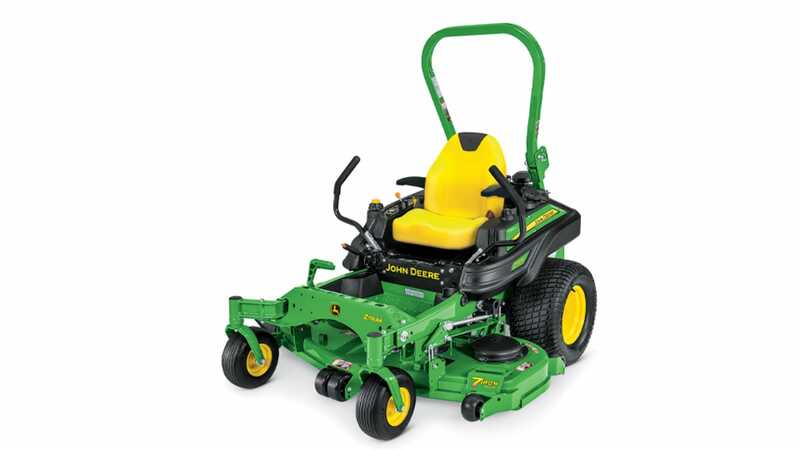 See your John Deere Dealer for complete details and other financing options. Available only at participating U.S. dealers. Prices and models may vary by dealer. Offer available on new equipment and in the U.S. only. Prices and savings in U.S.